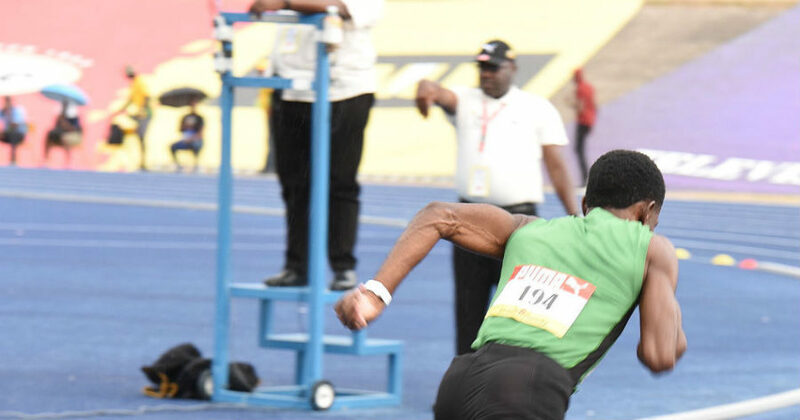 KINGSTON, Jamaica — Here is the order of events, live streaming coverage as well as live result updates on day three of the Jamaica High School Boys and Girls Champs 2019 inside the National Stadium in Kingston, Thursday. Kingston College (KC) and Rusea’s High are the leaders on the boys and girls side entering the third day of action. Defending champions Calabar and Edwin Allen are both sitting second in the boys and girls side. Today’s third day of competition will see eight finals, including the 2,000 metres Steeplechase medal races for boys and girls at the end of the day. The day will also see the class one discus, class two shot put and the class three high jump finals taking place on the boys side. Meanwhile, the long jump for class four and class three high jump are among the girls scoring event. Also on the schedule will be the much-anticipated 100m preliminary rounds, as well as the semi-finals of the 800m and the 200m. The heats of the 4x400m and medley relays are also on the schedule, as well as the class two and class one boys 400m hurdles and the girls open event.